After an interesting analysis of the time limits for claims under Convention in response to a claim made in relation to actions by British soldiers in Malaya in 1948, the Court of Appeal dismissed all their human rights, customary international law and Wednesbury arguments. There was no obligation in domestic law for the state to hold an inquiry into the deaths of civilians killed by British soldiers in colonial Malaya in 1948, even though the Strasbourg Court might well hold that such a duty ensued. 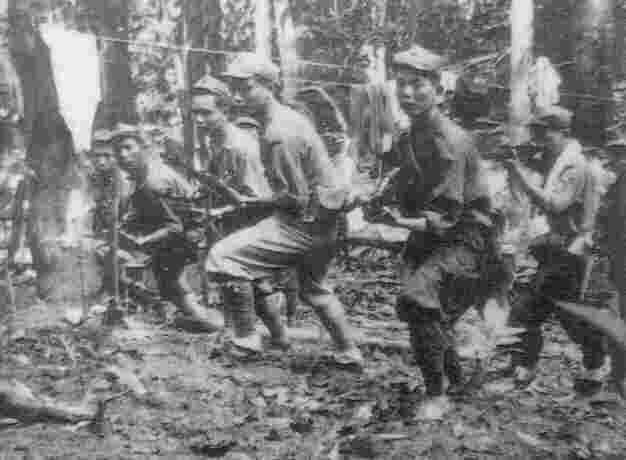 After the defeat of Japan in WWII and their withdrawal from Malaysia, there ensued a bitter conflict between Malaysian civilians Chinese-backed communist insurgents. In 1948 Commonwealth forces got involved and there ensued a guerrilla war fought between Commonwealth armed forces and the Malayan National Liberation Army (MNLA), the military arm of the Malayan Communist Party (MCP), from until 1960. During the late 1940s there was a significant communist insurgency within the Federation, and this intensified during 1948. Several British planters and businessmen were killed and there were violent incidents within the area concerned in this appeal. It was decided between the Governor of Singapore and the British Commissioner to impose the use of emergency powers in the context of a planned operation that had two anticipated phases. The objective of the first phase of the operation was to “apprehend or liquidate the enemy forces and so far as this does not succeed completely to drive them into the jungle”. The soldiers had been deployed on this insurgency operation. The official report shortly after the incident stated that the men had been detained bandits killed in an escape attempt. Investigations into the incident occurred intermittently over the following 60 years. The claimants were witnesses of the killings and relatives of those who died. They alleged that the men had been deliberately executed. In 2010 and 2011, the secretaries of state declined the claimants’ request to hold an inquiry, and their appeal to the Divisional Court was dismissed. In this appeal, the claimants submitted that there was an obligation under Article 2 of the European Convention on Human Rights to hold an inquiry, despite the deaths having occurred before the critical date of the United Kingdom’s ratification of the Convention in 1953. There had, they argued, been a “genuine connection” between the deaths and the critical date, as set out in Janowiec v Russia (55508/07 – the “Katyn case” – see our previous post on that decision) . Such a conclusion in Strasbourg should be followed in domestic law, and furthermore there was an obligation to hold an inquiry under customary international law. They also challenged the exercise of discretion by the secretaries of state in refusing an inquiry on Wednesbury irrationality grounds. Finally, they contended that liability for the soldiers’ acts had been the Crown’s and had not passed to Malaya on independence in 1957. The respondents contended that the Katyn case would not compel such a conclusion in the ECtHR but, even if it would, as a result of domestic authority binding on this court, the domestic courts should not follow it; no obligation under customary international law arises, not least because an applicable obligation cannot be said to have existed in 1948; in any event, the reliance on article 2 and/or customary international law was misconceived because, as a matter of state responsibility, the United Kingdom did not assume liability for the deaths at Batang Kali and in any event liability fell away from the United Kingdom as a result of the post-colonial constitutional settlement with Malaysia in 1957. They submitted, finally, that the domestic law challenge to the exercise of discretion is unsustainable. In previous case law, the Court has required requirement of a “genuine connection” between the death and the critical date for the procedural obligation under article 2 to come into effect. This “genuine connection” test focused not only on what took place pursuant to the Article 2 procedural obligation but also on what ought to have taken place. In view of the limited investigation which had taken place before the critical date and the potential significance of the material which had emerged since the critical date, it was probable that if this case should come before Strasbourg, that Court would find the genuine connection test to be satisfied. However, it was for the Supreme Court in an appropriate case, to decide whether to change its jurisprudence so as to bring it into line with the recent Strasbourg decisions on this issue. It was therefore only necessary for the Court of Appeal to consider whether it was bound by a different domestic interpretation of article 2. The decision in McKerr’s Application for Judicial Review, Re  UKHL 12, that there was no investigative right in respect of deaths occurring before the entry into force of the Human Rights Act 1998 had not been replaced or marginalised in McCaughey’s Application for Judicial Review, Re  UKSC 20. McCaughey had not addressed whether a post-1998 Act decision on whether to commence an investigation into pre-Act deaths was constrained by the procedural obligation under art.2. The claimants could not equiparate the instant case with the “legacy inquests” relevant in McCaughey by tying the decisions of the secretaries of state to earlier investigations. The domestic law on art.2 was still that expounded in McKerr. Any attempt to overrule McKerr would be a matter for the Supreme Court (paras 99-100). The statutory framework before the 1998 Act had not been concerned with the investigation of deaths caused by the acts of state agents overseas. There had been no right to an investigation, merely a discretion to establish one. Following the Act there was such a right, limited by the constraints, including the temporal constraint, in the Act. The Act had set the parameters within which a right to an investigation could be claimed. Nor did the claimants’ appeal to customary international law assist their case. The temporal limitation was based on a prohibition on retrospective reliance. It had not been Parliament’s intention to leave open in domestic law a mandatory duty without temporal limitation by reference to customary international law. The Court of Appeal “totally disagreed” with the claimants’ argument that the reasoning of the secretaries of state could not survive a Wednesbury challenge. The secretaries of state had considered everything they were required to consider, had not had regard to irrelevant considerations, and had reached rational decisions that were available to them. Any accountability for the soldiers’ acts had been the Crown’s. No such accountability had passed to independent Malaya. The deployment had been deployment by the Crown in right of the UK Government. Liability incurred by the deployment could not be regarded as a liability incurred in respect of the government of Malaya.